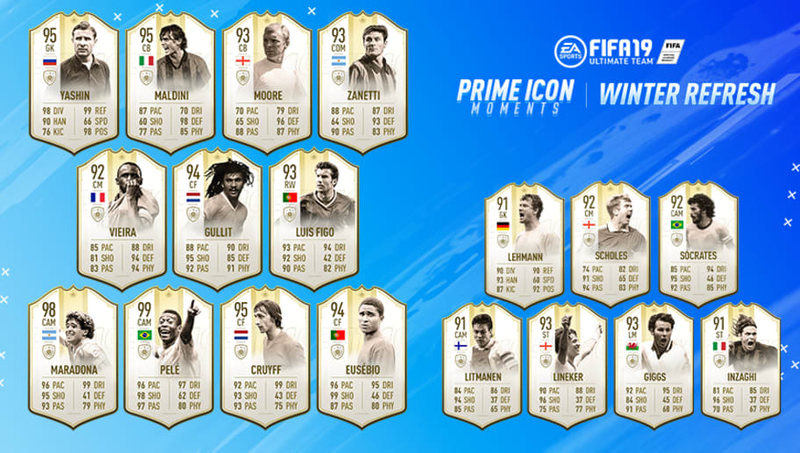 Icon Moments FIFA 19: Who are the New Prime Icons? ​Icon Moments FIFA 19, also known as the Primer Icons, the Optimus Prime Icons, or more traditionally just the Prime Icon Moments cards, are the new overpowered beasts in the game. FIFA 19, in the midst of the Winter Refresh promotional event from EA Sports, received upgrades across the board for the prominent leagues in soccer. Also, brand new upgraded Icons cards were added twice during the duration of the event. The first set was released on Feb. 15 and the second on Friday. Here are all the new Prime Icon Moments cards in FIFA 19 and their ratings. ​​Icon Moments FIFA 19: Who are the New Icons? EA Sports released a squad building challenge to complete for an untradable Prime Icon Moments Ruud Van Nistelrooy on Friday with the second set of Icons.